HomeOur BlogGeneral InterestMake Your own Christmas Decoration! Here at the Natural Dog Food Company we have been busy making salt dough decorations for our Christmas tree. They are super easy to make and great fun for all ages! Mix the flour and salt in a bowl. Add a small amount of water and mix, add more water and repeat until you have created a dough, you do not need to add all of the water. The dough should be like any other biscuit or bread dough, knead until smooth and holds together. If it is too sticky add a little more flour, if it crumbles then add a little more water as you go! Add a sprinkle of flour to a flat surface to prevent it sticking and roll out your dough, then use cookie cutters to create your shapes and place onto baking paper. Once you are happy with your shapes, use something like a straw or tooth pick to create a small hole at the top for a ribbon, if they are very small you could use a glue gun to attach the ribbon later – under parental supervision of course! Place your shapes on baking paper and onto a baking tray tray, leave to air dry for 24-48 hours or in the oven 150 degrees Celsius for 30 mins, for best result turn after 15 mins to avoid them curling – parental supervision required, please be careful and use gloves as they will be hot! Hang them on your tree for everyone to enjoy or give them as a gift! 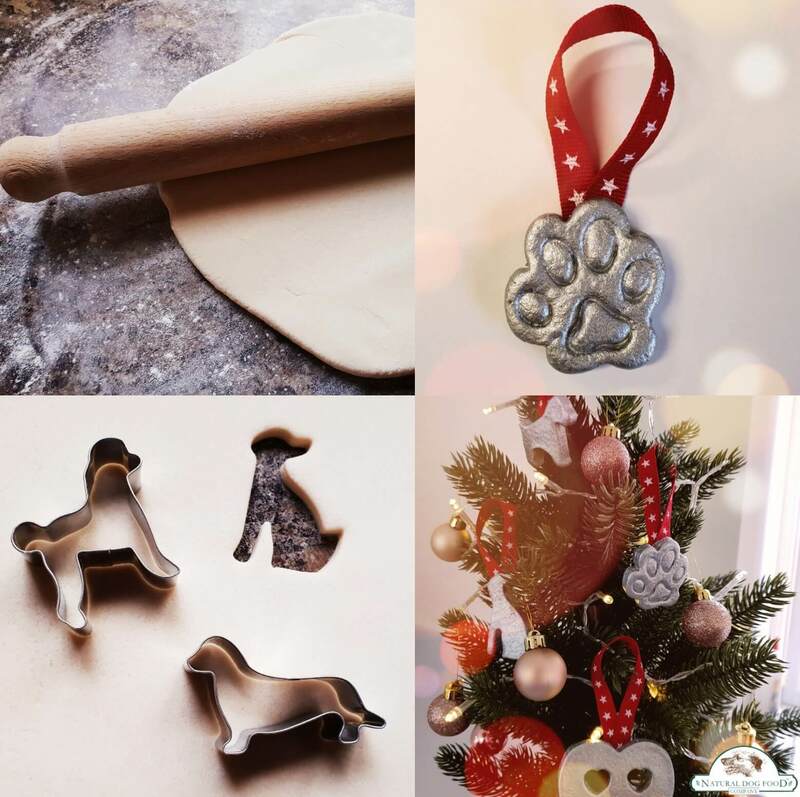 We have made ours doggy themed but you could use any shape, you could even place your dogs paw onto a circle of dough and press lightly to create their paw print!! Don’t forget to tag us in your photos!